Huge Savings Item! 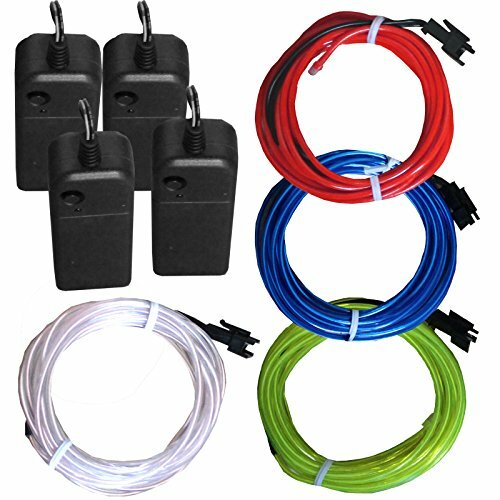 Save 12% on the 4 Pack - TDLTEK Neon Glowing Strobing Electroluminescent Wire/El Wire(Blue, Green, Red, White) + 3 Modes Battery Controllers by TDLTEK at Two Clock. MPN: FBA_TDLEW4P. Hurry! Limited time offer. Offer valid only while supplies last. Features: 1. Flexible 2. Low power consumption and energy saving 3. Easy to install 4. Cool to the touch 5. Available in many color 6.